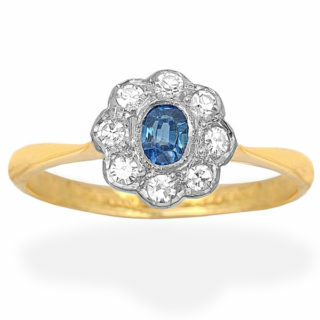 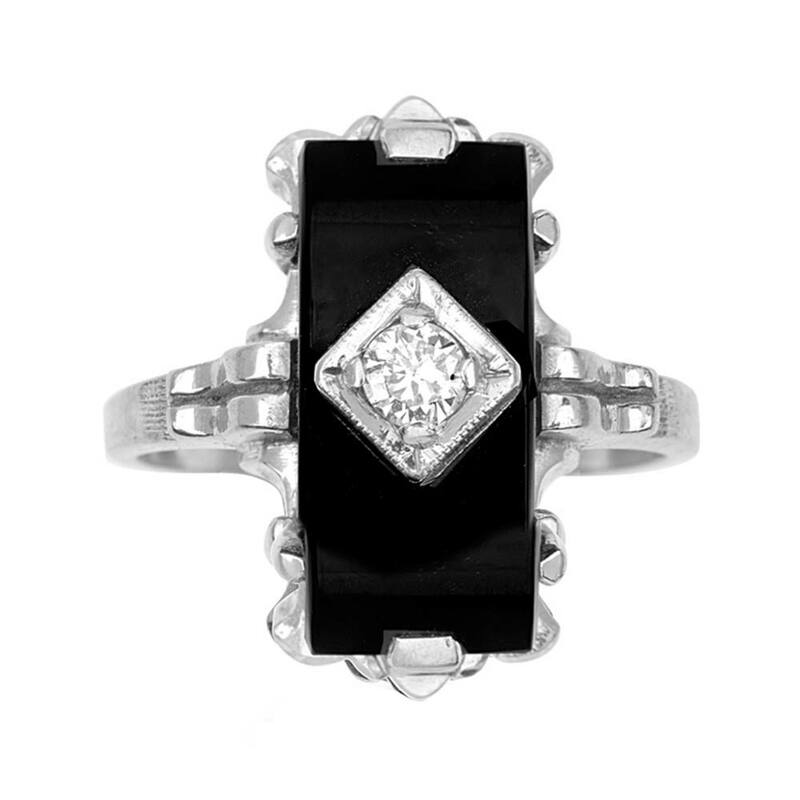 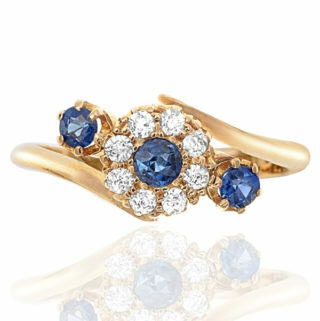 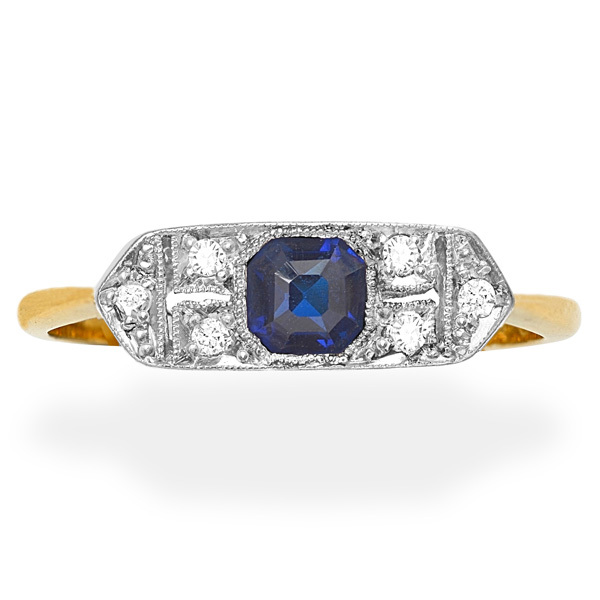 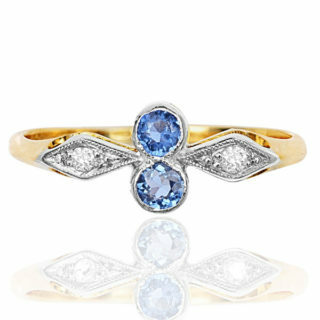 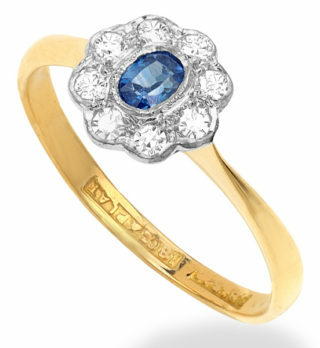 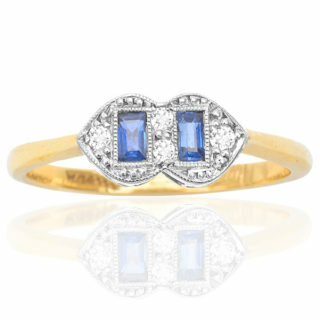 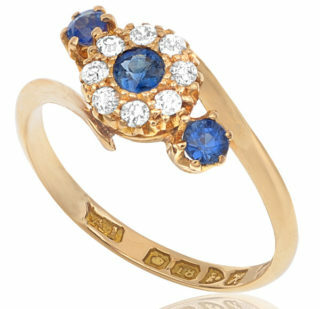 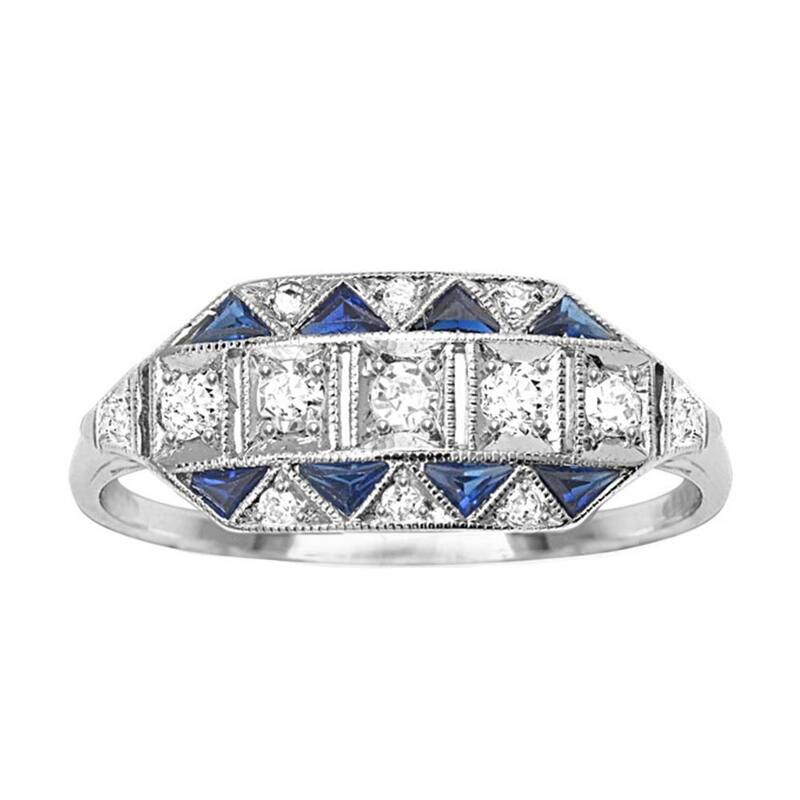 A stylish original Art Deco Sapphire and Diamond ring. 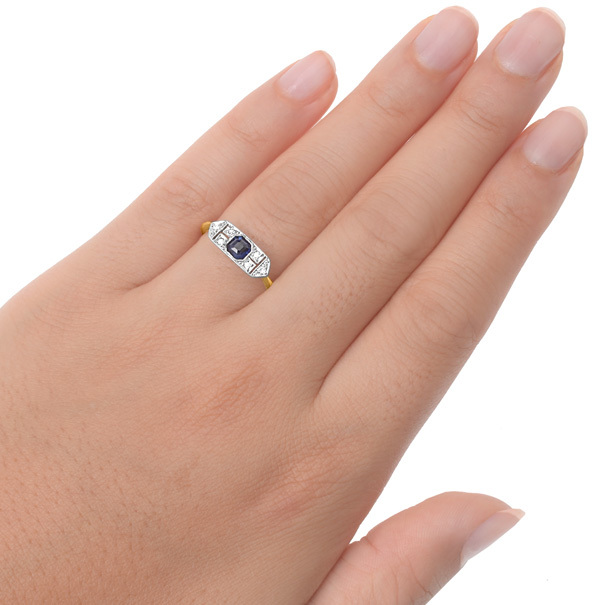 The centre square step cut Sapphire is 0.25 carat and a deep dark blue colour. 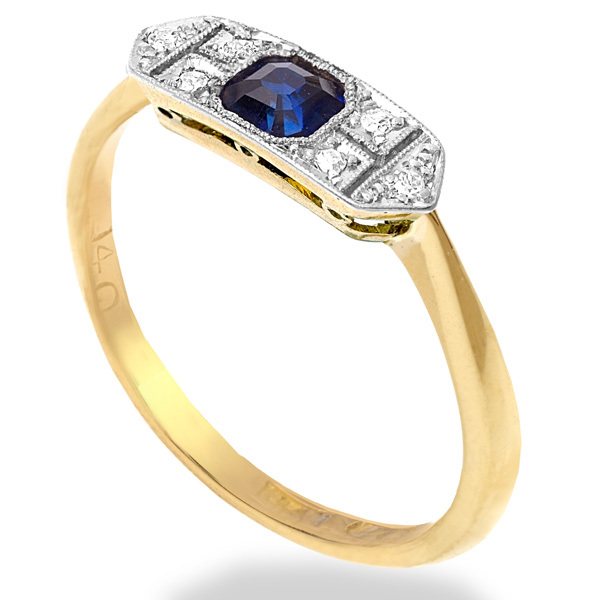 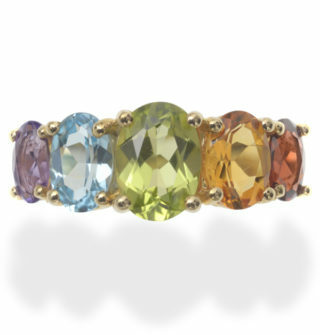 There are six tiny Diamonds totalling 0.03 carats and G/H colour and Si/p1 clarity. 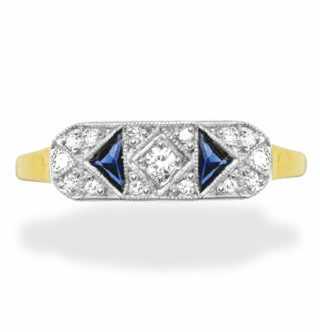 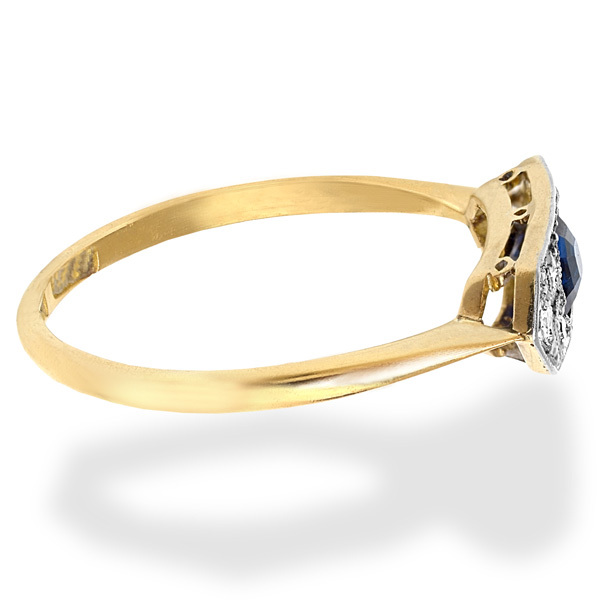 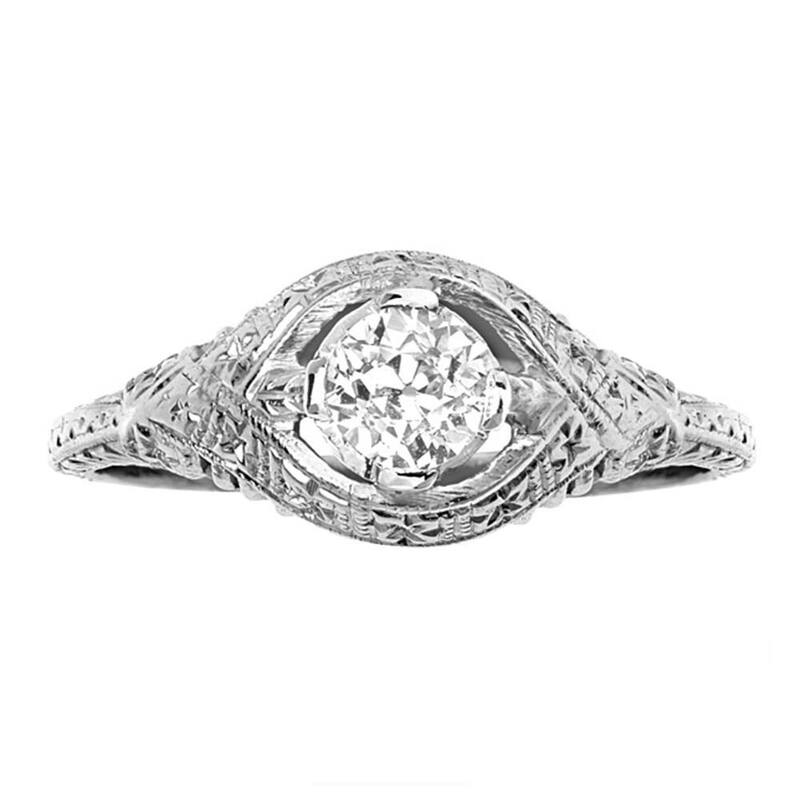 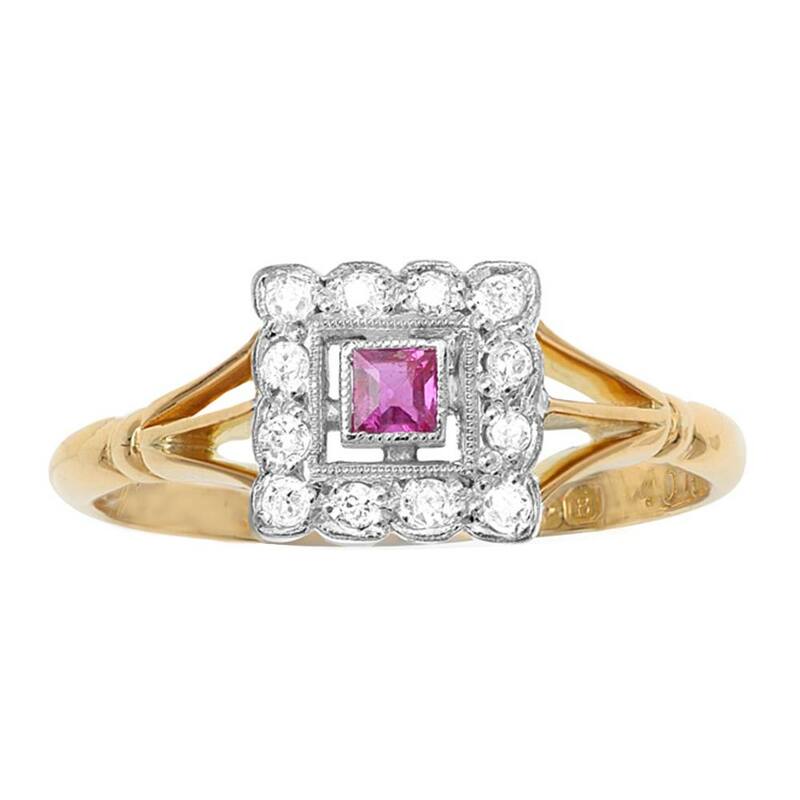 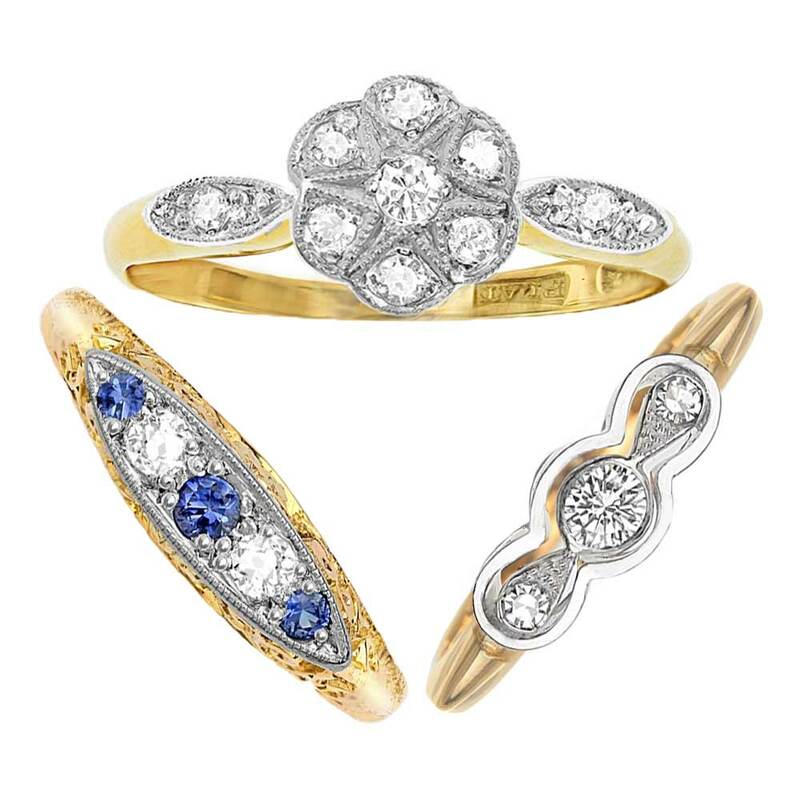 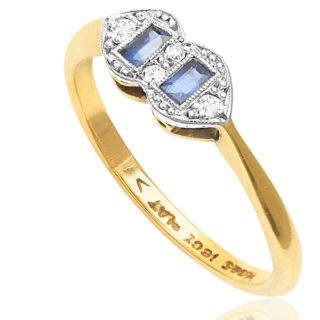 The fabulous intricate face of the ring is made from Platinum and the band is 18 carat gold. 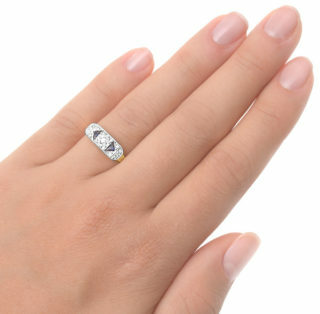 The ring sits nice and flat on the finger and is in lovely condition. 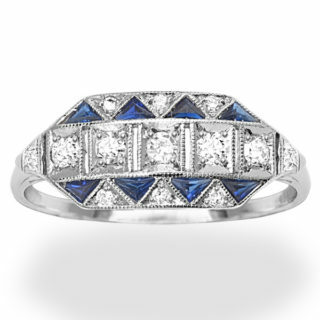 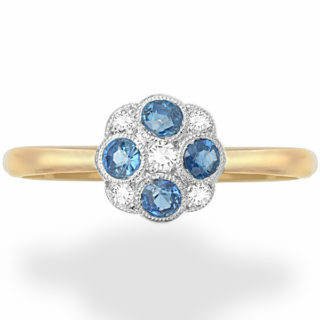 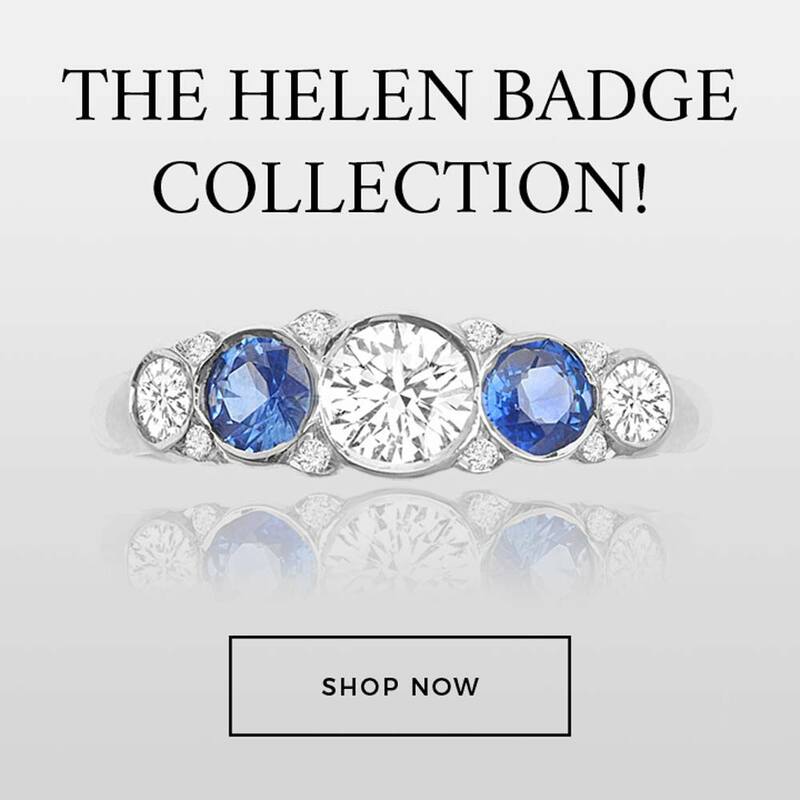 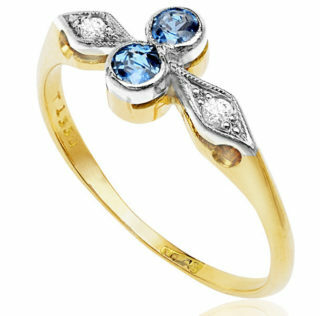 A great dress ring or elegant engagement ring. 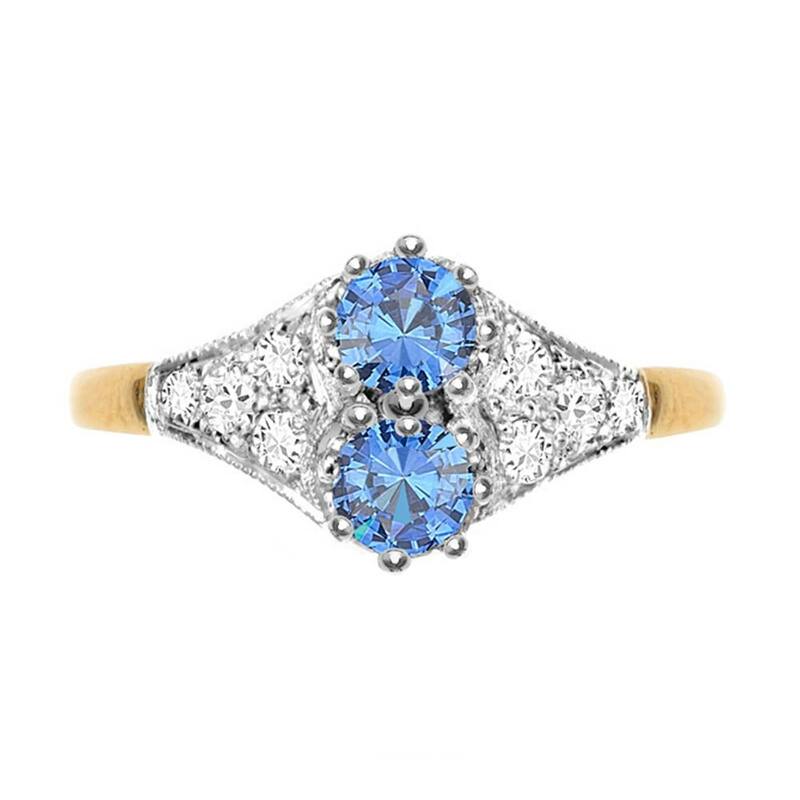 It comes with an independent valuation and can be easily sized.